Paul begins talking about the divisions within the church at Corinth. Were these divisions each a "house church" or were they divisions within a single church that met together? • Follow up question 1 - Reading 1 Corinthians 11:17-18 (instructions on the Lord's Supper) it seems that it was one church that gathered together and not house churches. If the church of Corinth was a church that met in a single location - where did they meet? Would a home be large enough? It really doesn't matter where they were meeting. Paul addresses the letter to the church. He could just as well be speaking directly to us as them. To your question though, at that time they very likely would have been meeting in one house, but given the nature of the contentions (I am of Apollos, I am of Paul, I am of Christ, etc; IOW, my lineage is better than yours, naynaynay), it is not impossible that they were already meetings in different houses. Perhaps they were meeting in the woman Chloe's house. There is lots of speculation about who she was, but obviously she had the Apostle Paul's ear. He trusted, he listened to her. She was important. Like with Christ's ministry, it was supported by very important, well-to-do women. If, however, they were meeting in different houses, which is very doubtful, how was the division stopped? Clearly it wasn't. See the letter of Clement to the Corinthians. See also the history of Christianity. Point is that distance, time, heritage, location is not as important as what is believed. The church in Corinth began in 52 A.D. when Paul went there on his second missionary journey. Paul’s first letter to the Christians in Corinth was written about 55 A.D. Corinth was a large, prosperous and commercial Greek city with a population in excess of 500,000 persons. Acts 18:1-18 describes the events leading up to the establishment of the “church” in Corinth. Paul stayed with Aquila and Priscilla, and with Titius Justus, “and many of the Corinthians who heard him believed and were baptised.” Paul stayed in Corinth for a year and a half, teaching also in the Jewish synagogue. There is every reason to believe that the Christians in Corinth met in different homes. During Paul’s lifetime, believers would commonly meet in a house: “… greet the church that is in their house” (Romans 16:5). “The church” did not refer to different groups, but to the body of believers who came together for fellowship and worship. The “divisions” among the believers refers to the “church” as a group, and not to any individual “house church.” The Christians in Corinth were full of pride and were excusing sexual immorality: “It is actually reported that there is sexual immorality among you, and of a kind that is not tolerated even among pagans, for a man has his father’s wife. And you are arrogant! Ought you not rather to mourn? Let him who has done this be removed from among you” (1 Corinthians 5:1-2). The believers in Corinth were following different spiritual leaders: “What I mean is that each one of you says, “I follow Paul,” or “I follow Apollos,” or “I follow Cephas,” or “I follow Christ” (1 Corinthians 1:12). Spiritual gifts were being used improperly (chapters 12-13), and there was misunderstanding of key Christian doctrines such as the resurrection (chapter 15). Ekklesia is a Greek word defined as “a called-out assembly or congregation.” This word is the basis for our English words ecclesiastical (“pertaining to the church”) and ecclesiology (“the study of doctrine concerning the church”). Ekklesia is commonly translated as “church” in the New Testament. Paul said: “For I am the least of the apostles, unworthy to be called an apostle, because I persecuted the church of God” (1 Corinthians 15:9). He was referring to the body of believers living in many different locations, not just to people who met in a building or a house. In his address to the Sanhedrin, Stephen calls the people of Israel “the assembly [ekklesia] in the wilderness” (Acts 7:38). And in Acts 19:39, ekklesia refers to a convening of citizens to discuss legal matters. However, in most contexts, the word ekklesia is used to refer to the people who comprise the New Testament church. The “called-out assembly” is a congregation of believers whom God has called out of the world and “into His wonderful light” (1 Peter 2:9). That is the meaning of the word “church” as it is applied to the body of Christian believers – wherever they are. After Titus had been sent by Paul to the Corinthians, Paul’s second letter (written before 57 A.D.) shows how the Corinthian Christians were grieved into repenting (2 Corinthians 5:7-9). That is how the fragmentation was halted. Buildings specifically used for meetings of the local church probably did not arise till after Christianity was accepted by Emperor Constantine. Not the answer you're looking for? 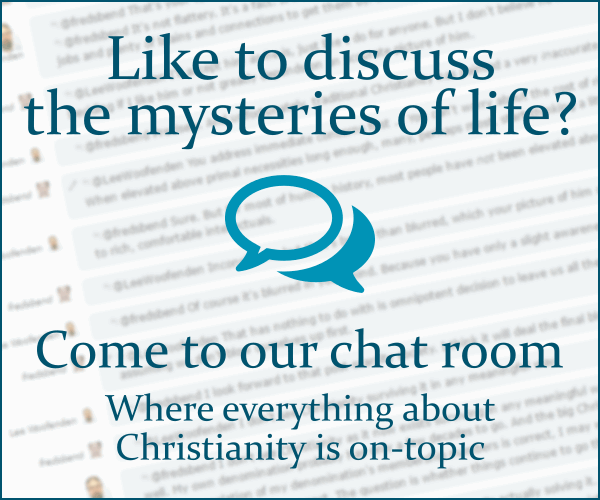 Browse other questions tagged church-history early-church church-building or ask your own question. What do 1st century extra-biblical sources say about hell? Are elders needed to have an “ordered” church? Besides Paul, were there any other enemies of the early church who converted to Christianity? How did the Church fathers of the first four centuries understand 2 Corinthians 5:21?